According to Animal Medicines Australia’s Pet Ownership in Australia 2016 report, there are more pets than there are humans in Australia with a 100:101 ratio of humans to pets. To date, Australia still has one of the highest rates of pet ownership per household in the world with most households owning dogs, followed by cats and fishes! 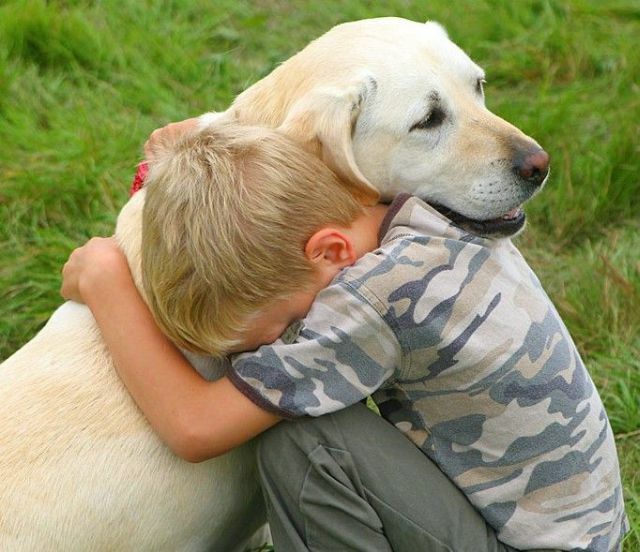 Over the years, the role of pets in the household has changed from being merely house pets, to family members. Because of this, pet owners are also investing more in their pet’s well-being. From the food their pets eat to the health care they are provided, Australians have indeed been spending more dollars on their furry companions. More Australian pet owners are also opting to get their pets insured along with the widening of health care options, medicines and breakthroughs in veterinary medicine. Despite the increase in insurance, the majority of the population of pet owners in the country are still uninsured. Whilst most pet owners in Australia are aware of pet insurance, the majority of them do not seem convinced enough to purchase pet insurance for their pets. One of the main reasons people give as to why they don’t take out pet health insurance is because they do not see the value in the product. In this article, Australian pet insurance will be explored further in order to help pet owners learn what to look for when it comes to pet insurance in order to protect both their pets and their personal financial wealth. Pet insurance can save significant cash for pet owners and it offers peace of mind when it comes to accidental injury and illnesses that may result in a medical emergency that can happen to anyone’s pet – no matter how pampered they are and how well they are looked after. However, in order to maximise pet care insurance, a little bit of research, comparison and selection should be in play as not all pet insurance companies have the same policies. Though being relatively new in most parts of the world, pet health insurance has actually been around for more than a hundred years. The first known animal health insurance was written in 1890 by a Swedish man named Claes Virgin, founder of Lansforsakrings Alliance. However, Virgin’s version was not targeted at household pets but farm animals such as livestock and poultry. It wasn’t until 34 years later when a pet health insurance was written for a dog. In 1924, the first recorded pet health insurance for domestic animals (specifically dogs) was written in Sweden. More than 20 years later, pet insurance has spread to the UK with the first one sold in Britain in 1947 and has since spread across the country. Almost 40 years following that, the first pet health insurance opened its doors in the North America. 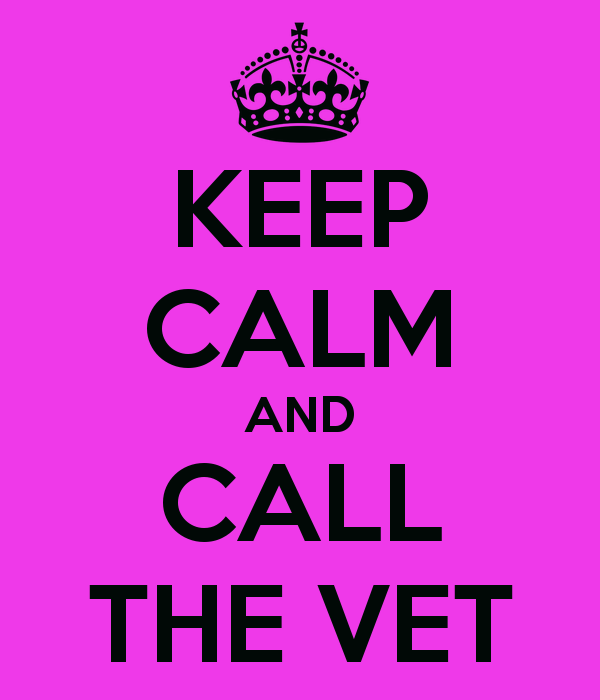 The only company opened then, Veterinary Pet Insurance (VPI)’s very first pet to insure was a rough collie popularly known as Lassie, a celebrity dog who was popular during that time. Following that, many more pet insurance companies sprung up in the United States. In Australia, pet health insurance is estimated to have only been around 15 or so years. Despite being relatively new, the market has seen quite an increase over recent years. Pet health insurance is both alike and different from human health insurance. It is similar because a pet owner is able to use the insurance to help pay for medical procedures done to their pets. Some of the terminology may also be similar, such as premiums, pre-existing conditions, waiting period, maximum payouts and co-payments. However, unlike human health insurance, pet insurance does not directly pay for the medical bill. 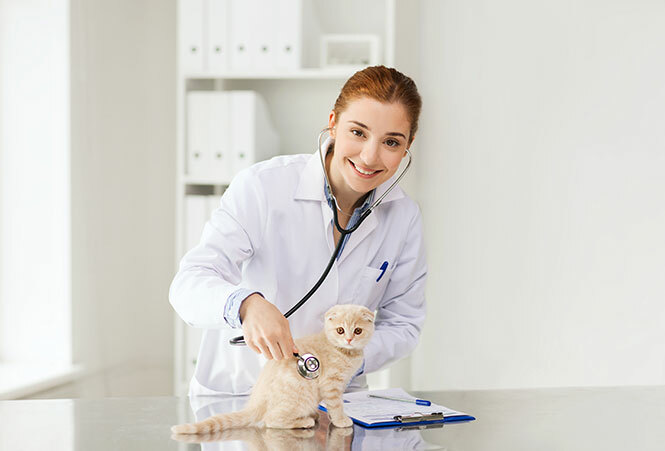 It is a reimbursement program where the pet owner will file a claim with the insurance company but will have to settle the veterinary expenses bill first. Each country and company is different when it comes to policies in reimbursement processes as well as premiums, maximum payouts and even the waiting period. However, the majority if not all pet insurance companies in Australia, do not cover pre-existing conditions. In a nutshell, pet insurance is insurance where the pet insurance company reimburses the owner after the pet has received treatment and the owner submits a claim to the insurance company. There are different terms and policies that an interested pet owner should familiarise him or herself with. Depending on the plan a pet owner chooses, it can either cover accidental injury only or both accidental injury and illness.. Accidental Injury cover includes “physical harm or injury arising from a single, identifiable event, which is independent of any other cause including any Pre-existing condition,” and in Australia there accidental injury refers to specific types of accidents. Accident and Illness cover includes cover for illnesses. Pre-existing conditions are conditions that have occured before the pet’s health insurance policy began or during any waiting period. Pre-existing conditions are generally not covered even for plans with illness coverage, although in some cases you can apply to have this exclusion waived. In addition to the type of plan a pet owner decides on, a benefit limit– which is the total amount the insurance company will pay each year — is also determined. The premium is the pet owner’s payables to the insurer. How much and how often the payments are made is determined by the options the pet owner has selected as well as the terms that fit best for the plan. Factors to also consider are the breed and type of animal, and age. In Australia it is common to offer fortnightly, monthly and annual payment options. It is always recommended that pet owners first to do a little research and decide what they want with their pet insurance coverage. One of the effective ways a pet owner can do this is to compare pet insurance offerings on the market. Check out the benefits offers vs the price, and understand any limitations, co-payments or excesses that may be applicable. 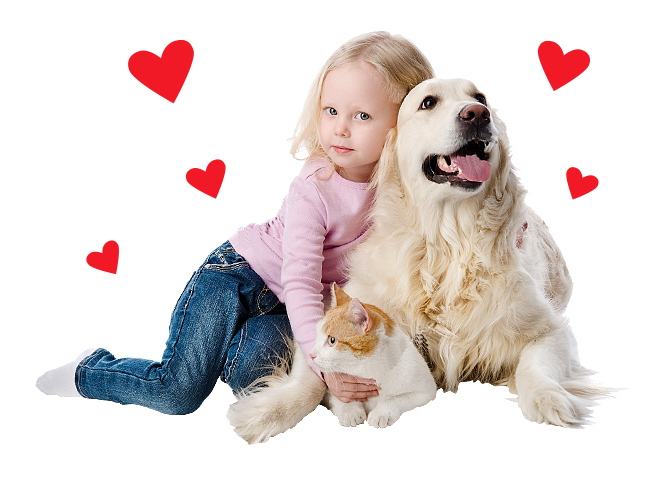 Pet insurance reviews will also help you decide which is the best pet health insurance in Australia to suit your needs. Some people are also looking for specifics such as the cheapest pet insurance or pet insurance that gives discounts to seniors or rescue pets. By determining what you as a pet owner wants from your insurance, the list can be narrowed down. 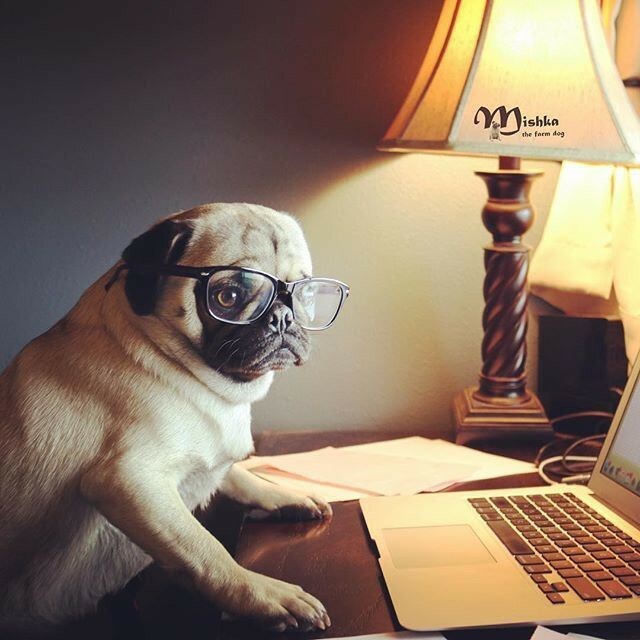 Conveniently, most pet insurance companies have made available getting a quick quote online by simply filling out details of yourself and your furry friend, and selecting the benefit options that appeal to you the most. Once the pet insurance company is selected, you can apply online, or call the insurer and they will take your application over the phone. All pet insurance companies in Australia offer a free look period which means you can review your policy to make sure it is what you are looking for. If you change your mind during this period they can cancel your policy and get a refund of premiums paid – providing no claim has been made of course. According to choice.com.au, a pet owner should, “approach this from two angles. Firstly, consider the maximum annual benefit a policy offers – the total amount the insurer will pay out each year. The second thing to look at is the range of features on offer.” We would add to the list, the comparative price that the customer pays for the benefits they want to receive. 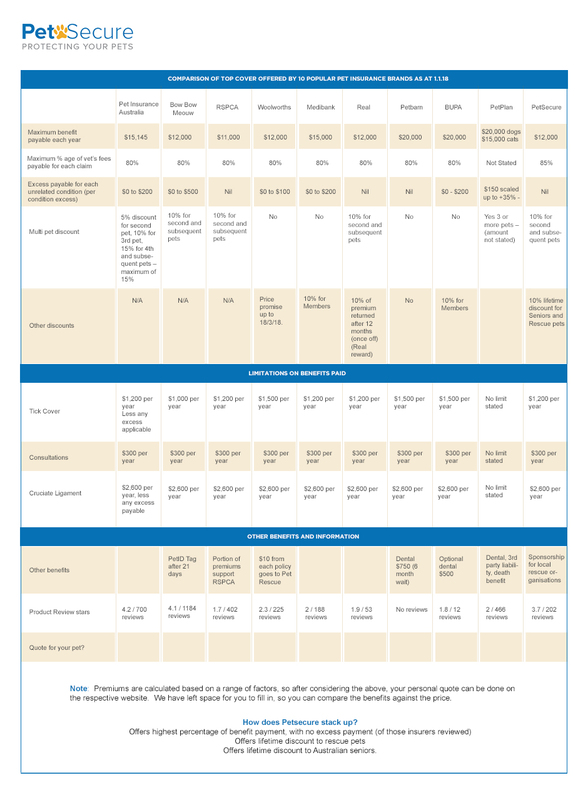 The chart below compares the benefits offered by popular Pet Insurance Brands in Australia (note: not all brands are included in the chart). Once you have checked out what would suit you best you can get a quote from your preferred providers and compare the price alongside the benefits on offer. The 2016 survey done by Animal Medicines Australia says that value for money is the main reason most Australians are sceptical about getting their pets insured. Ironically, however, the report also notes that veterinary care is the second highest expense of Australians next only to food. 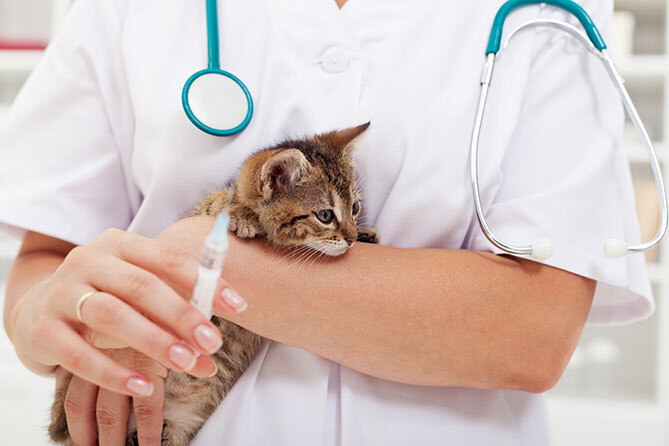 Furthermore, majority of Australian pets such as dogs and cats have been taken to the vet at least once or twice a year with more than half of the population taking their pets for checkups and vaccinations. With adequate pet insurance, you could save a significant percentage (up to 85% on these (see below list) costs, depending on the type of cover and caps. But more importantly, it can be the difference between giving your pet life saving treatment or not. These are very difficult decisions for people to make if they are unable to afford treatment for their pet if they have suffered an accidental injury or unexpected illness. 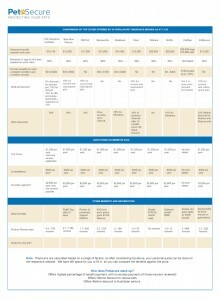 To give you an idea of how much it can cost to see the vet check out the cost of claims here. Whilst pet health insurance might seem like an unnecessary expense on the surface, considering all factors in (not including the peace of mind a pet owner can have knowing veterinary bills for unexpected accidents or illnesses will be covered), the right pet insurance provider can offer the value for money and more a pet owner is looking for because those furry friends deserve only the best care in the world!